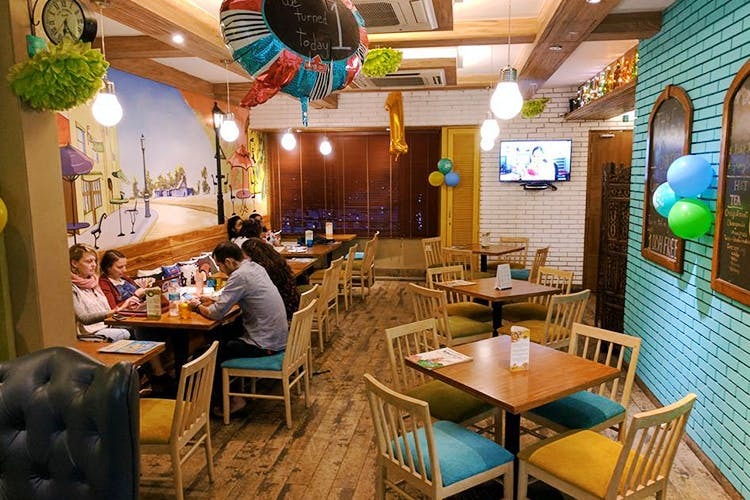 If you’re heading to GK 2 anytime soon, head to Getafix for some delicious, fresh and healthy food, along with friendly staff and amazing service. All in all, it’s a great place to hang out with friends at, with bonus points for a chill ambience. Like I mentioned, their service is amazing. The ambience is quite different from your regular café vibes, as these guys focus more on contemporary interiors. Their food boasts of simple, healthy recipes to satisfy the most serious of fitness freaks. Their breakfast is to die for. So if you’re up and about in the morning and have just wrapped up a nice work out, this is the place to go for some delish food. The best part? Their desserts are mostly sugarless. Perfect for that diet plan, isn’t it? Our pick? Their sugarless brownie. Go for their smoothies if you don’t feel like having an elaborate breakfast.